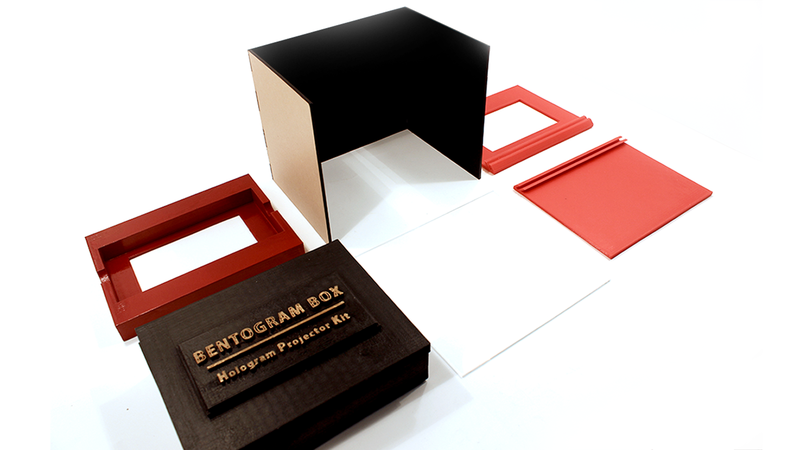 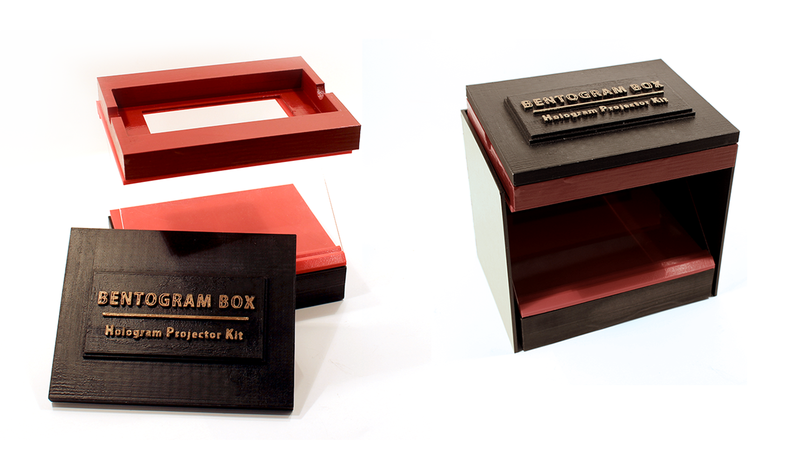 Bentogram box is a hologram projector kit, which can be bought at any toy store and allows you to build your hologram projector at home. 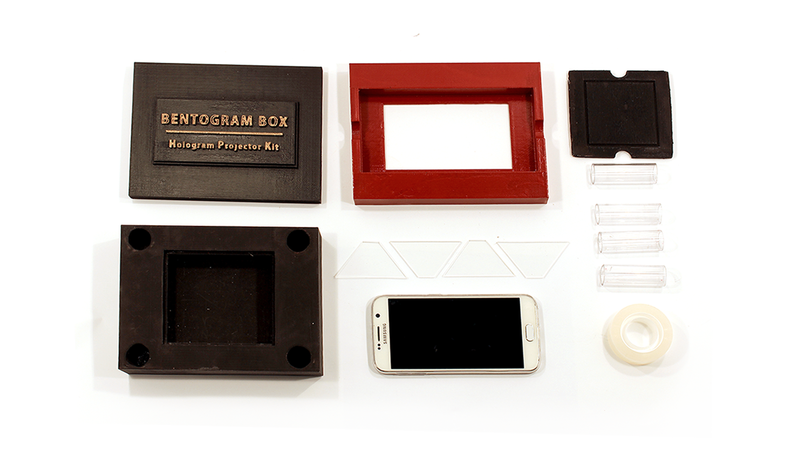 There are Pyramid and Z hologram. 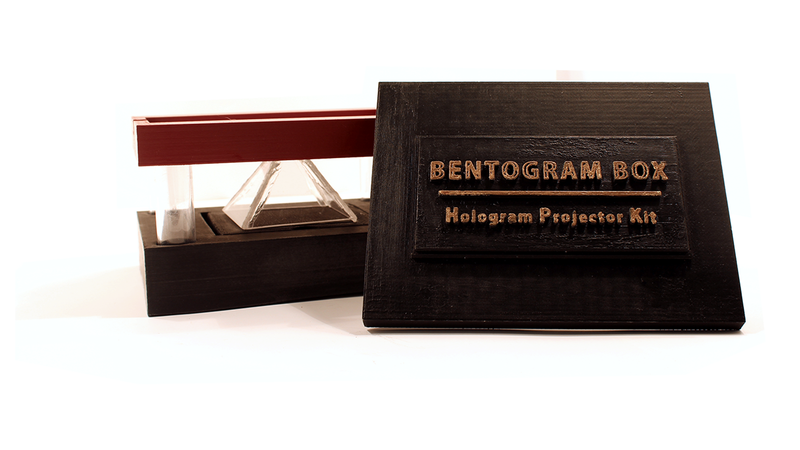 Pyramid Hologram is able to show a video in 4 sides but the area to display the video is small. 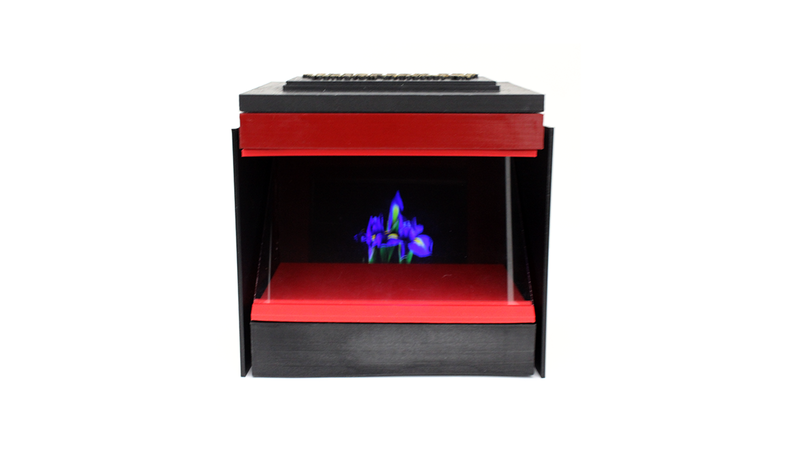 Z hologram shows the images better by expanding the height and placing the glass screen at 45 degrees between the base and the projector/digital screen.